Autodesk 인증 응용프로그램은 Autodesk 제품과 함께 사용되어 최고 수준의 품질, 호환성 및 통합성을 발휘합니다. <a href="http://www.Autodesk.Com/certifiedapps" target="_blank">여기에서</a> 자세히 알아볼 수 있습니다. 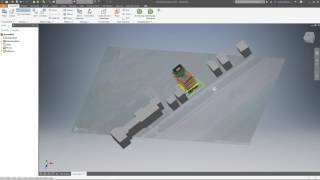 CADtoEarth™ for Autodesk® Inventor® is a POC application that establishes a bi-directional connection between Autodesk® Inventor® and Cesium®. It allows users to create personal accounts on the CADtoEarth web application and provides individual control over the visibility of uploaded data. Ther team, I am using Autodesk inventor 2017, windows, hp laptop Icore 7, browers is bothe chrome and internet explorer. Inventor automatically deactivated CADtoEarth. I forced it to load. In the Addin menu it is in active. What do I need to do. Surface import operation failed. Please try again How to fix? ?